So can we talk about this? I asked in my post earlier but it hasn't been brought up since. I guess the supports will be steel with wood track/catwalks/etc? From the rendering it sure looks like the track is wood. I'm sorry if I sound like an idiot. coasterbill wrote: Ugh... I'm so torn on this place. It's nearby, we have a Season Pass to Busch / SeaWorld parks, I'll definitely drive by it from time to time and now they have two perfectly respectable looking coasters but it's f*cking Sesame Place and we're two grown a** adults so I've never been there. I feel like now we just need to bite the bullet and go for it, then never speak of this again. Dude. Make it a kiddie park weekend. Do Sesame and Dutch Wonderland. In fact, throw Story Book Land in there, pretty sure there's a wacky worm lol. Would make for an epic addition to the "Coasterbill's Alcohol, Coaster and Culture Trip Reports Land"! boldikus wrote: So can we talk about this? I asked in my post earlier but it hasn't been brought up since. I guess the supports will be steel with wood track/catwalks/etc? From the rendering it sure looks like the track is wood. I'm sorry if I sound like an idiot. Yes. Wood track, steel structure. Painted in green. Oh yeah look at that. I didn't even notice the green supports. That will look really cool! I'm really excited for this! This coaster will be a great fit for this park. The families will love it. What a great addition for this park! Looks like a very fun coaster! This looks more intense than SW8 at Alton Towers! Picto81 wrote: This looks more intense than SW8 at Alton Towers! 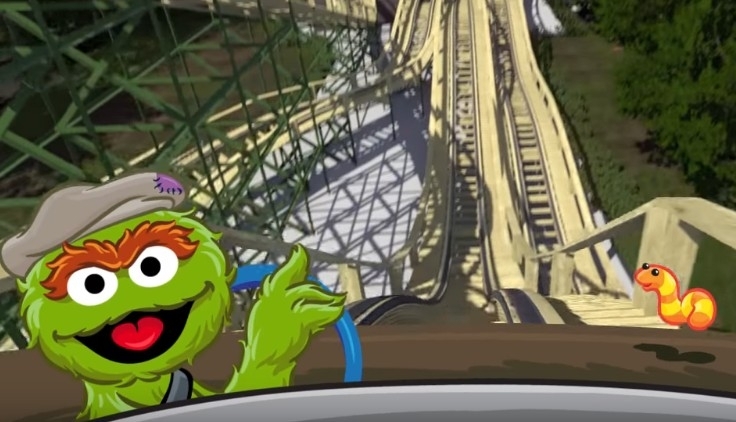 Btw, the new coaster looks like it's going to be fun for everybody, especially the kids.